Industrial Products – Axelum Resources Corp.
Fiesta Coconut Cream is a thick creamy white liquid extracted from the fresh and finely selected coconuts. UHT-processed to preserve the freshness and natural flavor of newly squeezed coconut milk. It is packed in 25 liter aseptic bag in a carton & 200 liters aseptic bag in drum and comes with two (2) variants, stabilized and stabilizer free to address the needs of food manufacturers such as beverages, ice cream and frozen dessert manufacturers. 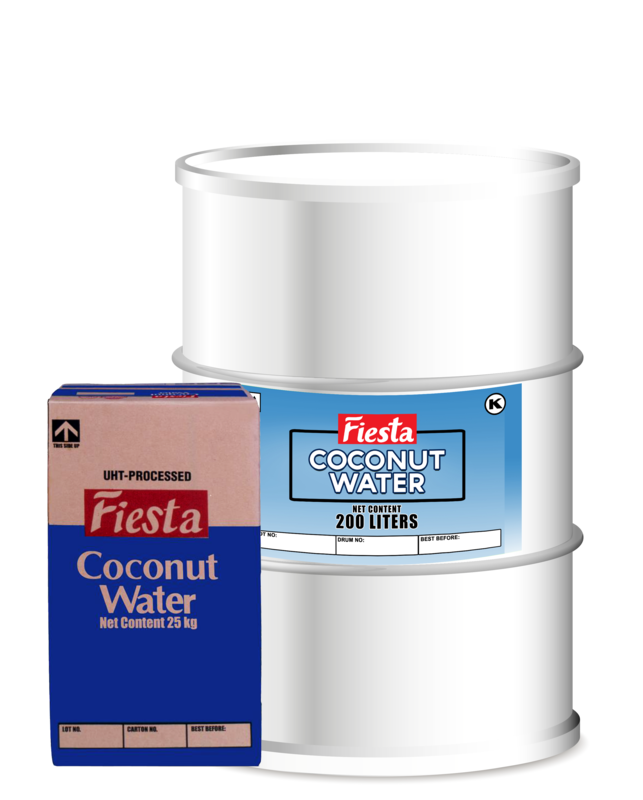 Fiesta Coconut Water is the liquid from inside of fresh coconut, processed using advanced UHT-technology to preserve the refreshing quality and flavor of natural coconut water. It is aseptically packed in 25 liters bag in a carton and 200 liters bag in a drum to address the need of beverages manufacturers. 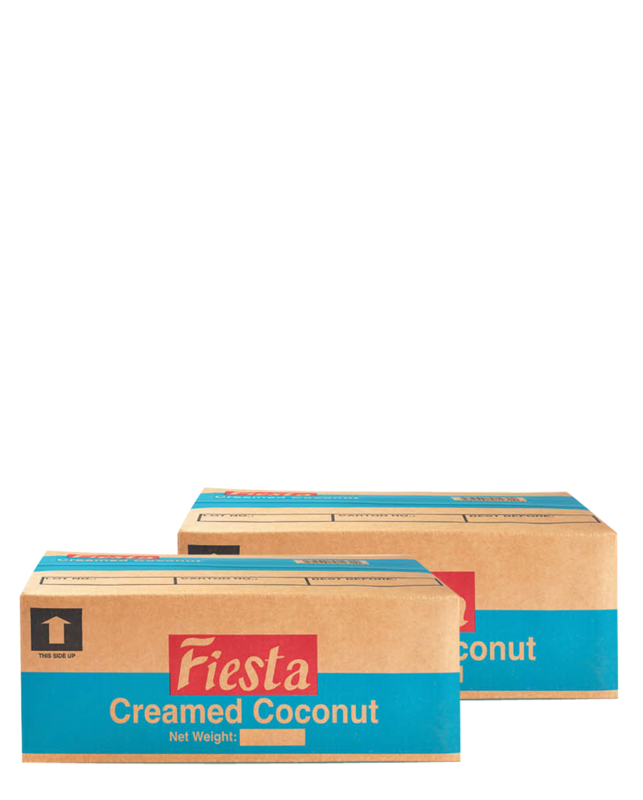 Fiesta Creamed Desiccated Coconut (a.k.a Coconut Paste or Creamed Coconut) is unsweetened coconut finely processed to semi-solid or shortening like consistency. It is primarily used in confectionery items, sauces and other similar applications where fiber and textured mouth-feel is desired. 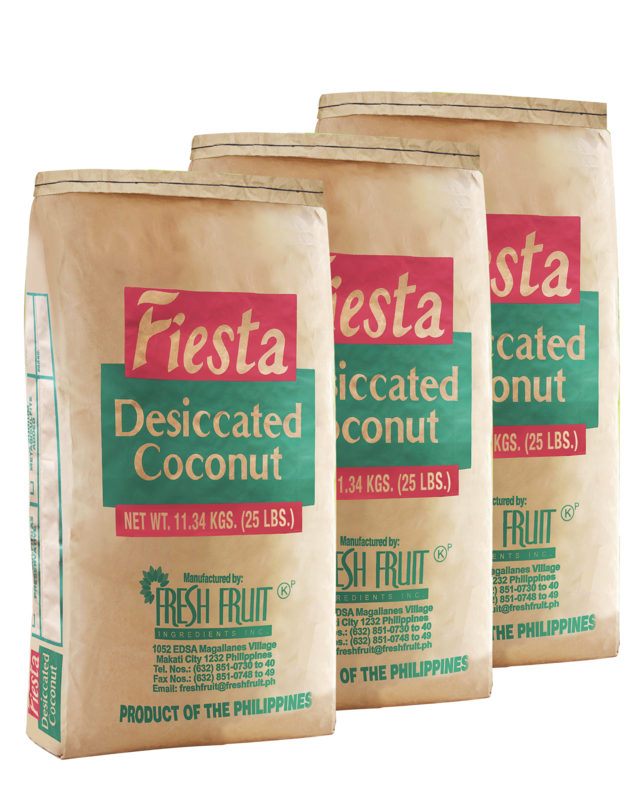 Fiesta Desiccated Coconut is made from shredded high quality pure white coconut meat, dried to retain the natural flavor and aroma of coconut. It is high in fiber and fat of 70 % maximum. The product is an ideal ingredient for confectionaries and bakery. 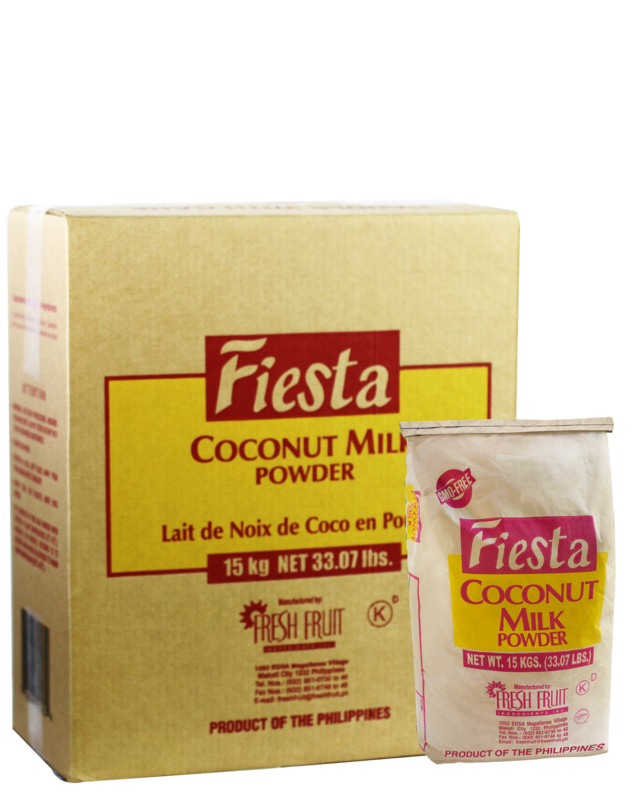 Fiesta Coconut Milk Powder is a creamy white powder produced from freshly squeezed coconut milk blended with natural stabilizers to facilitate spray-drying, comes with two (2) variants, Fiesta Coconut milk powder regular and Fiesta Coconut Milk Powder Gluten Free & Dairy Free. It is packed in 15 kg LLDPE bag in a carton, 15 kg LLDPE bag in a kraft bag and 25 kg LLDPE bag in a carton .It is a unique product developed and perfected to address the need manufacturers. 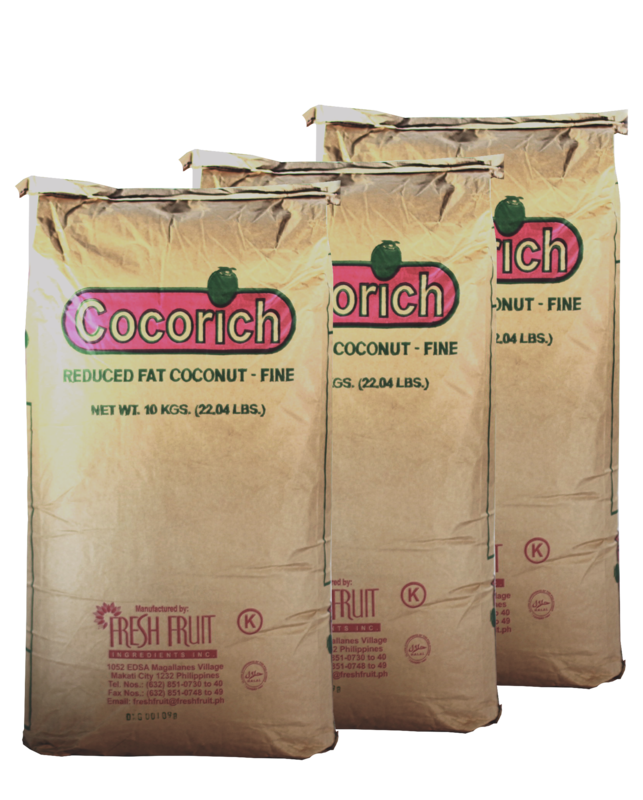 Cocorich Reduced Fat Coconut is made from shredded high quality pure white coconut meat, defatted and dried to 45% – 55% fat. It is best used for applications that require low fat but high fiber, adding an exciting texture and chewy quality to a host of bakery products such as biscuits, cookies, pastries and doughnuts. 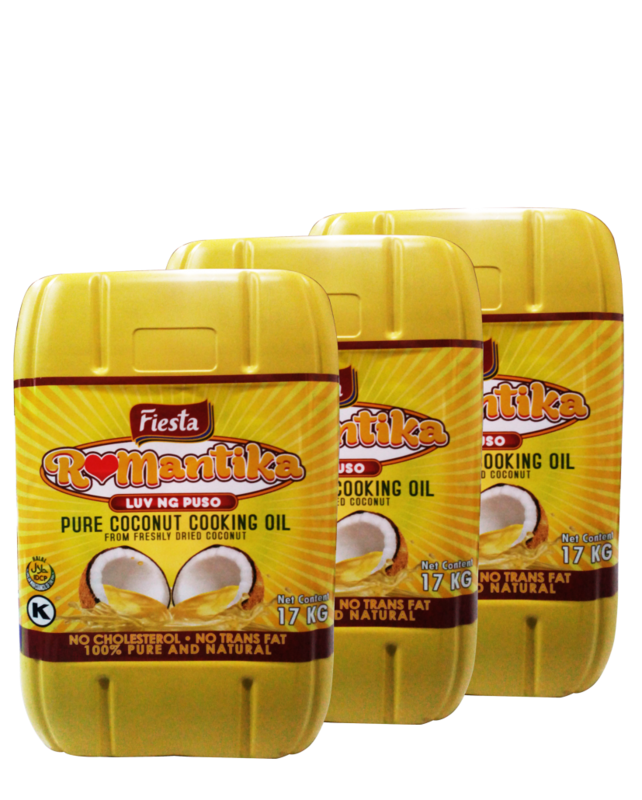 Fiesta Romantika RBD Oil is prepared from carefully selected and processed crude coconut oil. It has undergone special refining process to remove all impurities and prove good resistance to oxidation during frying or cooking. Its light color, bland taste, and lack of off-flavor impart superior tasting and keeping qualities on finished products. It is packed in a 17 liters plastic carboy to address the needs of manufacturers. 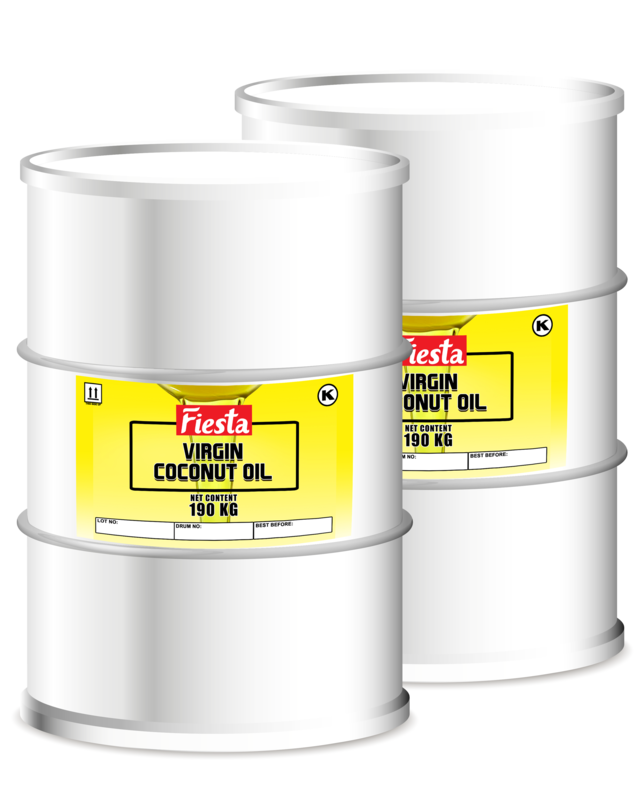 Fiesta Virgin Coconut Oil is unrefined and produced through expeller pressing of pure, virgin, dried coconut white meat. Virgin Coconut Oil is utilized in the production of various health food, industrial and pharmaceutical products application.